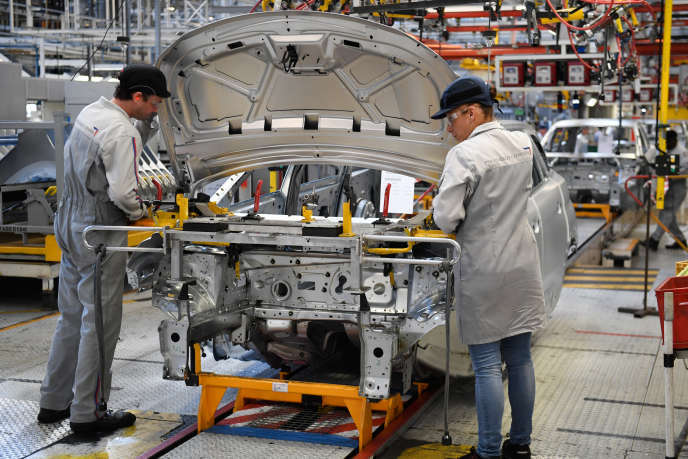 The two French manufacturers each sold 3.9 million vehicles in 2018. These results were achieved with the contribution of brands purchased less than two years ago by both groups. With two historical sales records almost equal (with 6,000 cars! ), The two French car groups, PSA and Renault, post good 2018 trading years that hide despite all structural difficulties behind real assets surprisingly complementary. The latest results, released on Friday, January 18, are those of the Renault Group which sold 3.884 million vehicles last year, up 3.2% from 2017. PSA for its part had announced, Tuesday 15 January, a number of 3.878 million vehicles sold in 2018 up 6.8%. In the game of similarities and differences, we note that these sales records are obtained by the contribution of brands bought less than two years ago. Without the integration of Opel-Vauxhall's 869,000 2018 sales, purchased at General Motors in 2017, PSA would have declined by 12%. And without the 166,000 sales of Chinese utilities Jinbei and Huasong, two brands acquired at the end of 2017, the Renault group would have seen its sales fall by 1.2%. What is particularly striking in these 2018 business results is that the strengths of one often correspond to the weaknesses of the other and vice versa. On the one hand, you have an increasingly international Renault (for the first time since 2012, Groupe Renault's share of sales outside Europe exceeds 50%); in good shape in some emerging markets such as Russia or South America - despite the sharp fall in the Argentinian market - including low-cost brands (Dacia in Europe, Lada in Russia) or low cost models (Duster , Kwid, Sandero) are a hit. Article reserved for our subscribers Read also Carlos Tavares: "At PSA, we have become psychopaths of performance"
On the other hand, there is a PSA increasingly European (80% of the group's sales are now realized), whose flagship Peugeot, leader of SUV in Europe, is in full development (unlike the Renault brand which shows a decline of 4% on the Old Continent); in a dazzling form in the highly profitable utility segment (sales up 18% in 2018); who has better than any other manufacturer in Europe taken the turn of the new standard WLTP; but still not in the early 2019 electric vehicle for sale when Renault in this segment has a market share of 22%. But everything is not dissimilar in the tricolor car geopolitics. The two French groups have experienced similar difficulties in Iran. Both have cashed hard to stop their operations made inevitable after the new US embargo. Renault lost in the business 100,000 sales and PSA 300,000. And there is China. On the world's largest car market, the tricolores are in the hard. Especially PSA. The automaker, which sold more than 700,000 vehicles in 2014, is in its third year of collapse (-32%) and has only 263,000 sales. Renault, seems to go there less badly. But the rise in sales is, as we have seen, linked to the integration of the Jinbei and Huasong brands. Dongfeng-Renault itself, in very small volumes across the country, is down 27%. There remains one sensitive point: that of the stability of the groups. Obviously Renault is from this point of view in a more difficult phase than PSA. Its current CEO, Carlos Ghosn, is imprisoned in Japan accused of financial malfeasance and relations with his industrial partner Nissan have become considerably complicated. A Renault Board of Directors is expected to meet in the coming days to appoint a successor. In the meantime, Thierry Bolloré, deputy general manager, provides interim and business continuity. It should be noted that this year, the commercial results were presented by Renault's new sales director, Olivier Murguet, a man appointed by Mr. Bolloré. Article reserved for our subscribers Read also After the fall of Carlos Ghosn, what future for Renault-Nissan-Mitsubishi?